Martie Krohn and Carol Pipgras were both part of the company that originated the idea of the Alaska Ferry "Cruise". Other companies liked the idea and began to offer their own versions of the Alaska Ferry Adventures tours. 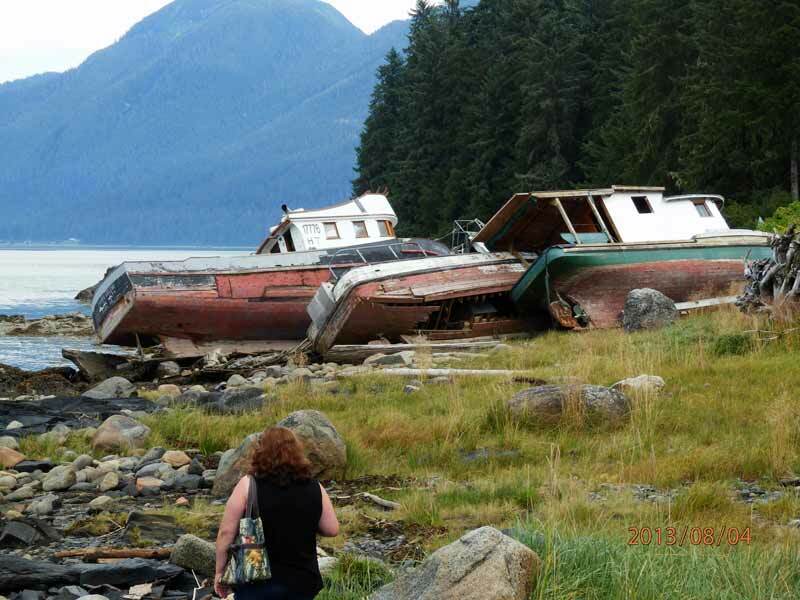 When Alaska Ferry Adventures and Tours closed, in October of 2013 after 27 years of booking ferry for Alaskans and tours for travelers to Alaska, Martie and Carol decided that they wanted to continue to offer trips for people who want to visit to Alaska. Alaska Our Way, LLC was born in November of 2013. Carol and Martie have a dream of being able to book your trip to Alaska. We both learned a lot working with Alaska Ferry Adventures and Tours. 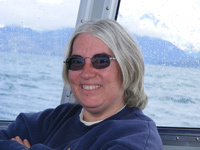 Having lived and traveled throughout Alaska, Carol brings her knowledge and attention to detail in providing a unique tour experience planned just for you. Online Reviews are available. With Carol’s passionate love for photography she has captured the breathtaking beauty of ALASKA, Canada, Hawaii and the lower 48 that can be viewed through her Website, Facebook and publications. Carol is the voice on the phone creating tours and promoting Alaska Our Way in the lower 48. When she is not assisting you plan your dream vacation, you will find her creating new adventures with her husband William. We book Alaskan Ferry Cruises. Cruises can be fun, but the crowd you are hanging with are all doing the same thing you are. When you travel on a Ferry "Cruise", you will be traveling with all sorts of people traveling for many different reasons. You will meet locals using the ferry as the "highway" between communities where the only ways to travel are by air or water. You will meet folks who are traveling from Alaska to try adventures elsewhere or folks who are traveling to Alaska to begin living a new dream. A lot of our Military folk travel this way, so you may meet military families who are relocating to serve our country from one of the bases in Alaska, or moving south to another base depending on which way you are traveling. You will meet folks who are traveling to Alaska, just like you, who are independent travelers who want to see Alaska through experiences and by meeting and talking to locals. The Alaska Ferry "cruise" takes you on a pleasant journey traveling on the ships of the Alaska Marine Highway System, with stops along the way. At each stop, you will experience the local flavor of the community as well as take part in an adventure available only in that community. Some adventures will take you back onto the water to reach the places where bears congregate, seals lounge and glaciers calve. Some adventures will take you along the pathway of history showing you where others came before such as the gold hunters of 1898, or Alaska's Native Culture spanning time periods from ages back. You can choose to visit Museums along the way, take guided tours, or simply explore on your own. Each of our tours is designed to be a base tour visiting certain communities and doing certain activities. All of our tours have time built in for you to make your own choices of activity as well. You can purchase a tour "as is" or you can add things to it to personalize your trip. We book travel on the Alaska Marine Highway Ferry System. Let's face it. Booking travel in a place you have never been before can be a daunting task. We know the links and the ships that travel on the Alaska Ferry Marine Highway. Tell us what you want to do, if you want a cabin or want to camp on board the boat, and we will book it for you. Traveling on the Marine Highway saves wear and tear on your vehicle, is a relaxing way to travel, and provides sights that you can only see from the water. The trip from Bellingham to Whittier is the only way to travel to Alaska without a passport, and the only way to travel with a vehicle if you are unable or unwilling to drive in Canada. We book travel on the Alaska Railroad. If you are traveling without a car in Alaska, the Alaska Railroad offers possibilities for getting through central Alaska from Fairbanks to Talkeetna (Denali National Park) to Anchorage, Whittier and Seward. Some of these destinations allow you to make connections to other modes of travel by connecting with the ferry system in Whittier or the airports in Anchorage and Fairbanks. We book lots of smaller trips for doing things like seeing bears and glaciers, flightseeing in our National Parks, riding the train on the White Pass Yukon Route to connect to Gold Country, connecting you to some pretty cool opportunities to catch fish, or to get off the beaten pathway to photograph and enjoy our Alaskan wilderness. Alaska Our Way, LLC is home based in Homer, Alaska. Following 27 Years of Experience from the preceding company, Alaska Our Way, LLC is pleased to introduce you to our "new" tours.